"What do Biffy Clyro, Run the Jewels, Charli XCX, and George Ezra all have in common? Well, aside from selling a truckload of records, and defying all the gloomy predictions about the music industry, they’ve all given up their hard earned wisdom to contribute to the one-stop-shop for everything you’ll ever need to break into the frightening world of being a professional musician - Phil Taggart’s The Slacker Guide to the Music Industry. 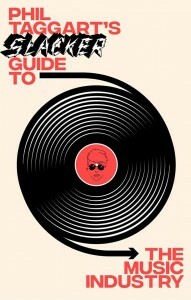 With contributions from some of the most successful names in the business, and the behind the scenes label bosses, managers, promoters, and marketers who made it happen, BBC Radio 1 DJ Phil Taggart has shared his considerable expertise within the business to give even the most basic beginner a road map that will hopefully lead to success." This is the blurb for our own Phil Taggart's curated guide to the industry. The book launch is set to take place at the Oh Yeah Centre on May 7, and will feature a Q&A with the Radio 1 DJ. Music comes from one of the island's finest electronic artists, ArvoParty - check him out on Bandcamp. Admission costs £5 from Eventbrite. Doors open at 8pm.